It's delicious AND good for you. 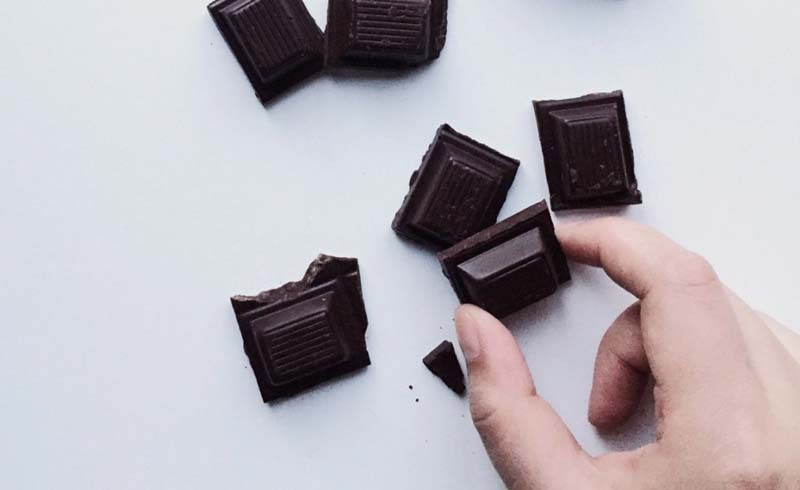 Up there with kale or bok choy, you’ve likely heard dark chocolate referred to as a ‘superfood.’ Research has shown it can improve both heart health and blood pressure, likely due to anti-inflammatory and antioxidant content, and even improve mood and reduce the risk of chronic disease. Most experts credit the health benefits to chemical compounds called polyphenols, specifically flavanoids, plant compounds that have antioxidant and anti-inflammatory benefits, explains Kristin Kirkpatrick, R.D., a Denver-based dietitian and author of Skinny Liver. Want to snack the right way? Look for dark chocolate with a cocoa content of at least 70 percent—though the higher the better, Kirkpatrick says. (Any less and you’re likely dealing with a mix of cream and other add-ins, she says.) Aragon, for one, favors a square or two of Trader Joe’s Pound Plus, about 77 calories a square, a day. Then, know what kinds of benefits you’re biting into—starting with these three biggies. Dark chocolate gives you a magnesium boost. Did you know up to 68 percent of people might not get the proper amounts of magnesium, an important player in over 300 bodily processes? Dark chocolate is a solid source of the mineral, says Aragon. About 3.5 ounces of dark chocolate, two squares of that Trader Joe’s dark chocolate, packs about 228 mg magnesium, putting you well on your way to the 400 mg recommended a day. Normally, you wouldn't think of eating candy before hitting the gym but celebrity trainers Ryan and Eric Johnson, brothers who work with Scarlett Johansson among other stars, advocate nibbling on a little dark chocolate before exercising. The pair explained to INSIDER that because dark chocolate releases dopamine in your brain, linked to pleasure and the reward system, you'll actually look forward to those early morning workouts if you nibble some chocolate first. "It creates this positive feedback loop with your brain — now that you're getting this piece of chocolate before your workout you're creating a positive association with your training session and you're getting more excited to get to the gym... you have something to look forward to," Ryan told the outlet. Some research even suggests that eating chocolate could make you perform better, too. In 2011, researchers found that mice given epicatechin, a flavonoid found in cacao, were able to run for longer distances compared to mice who didn't receive any of the ingredient. Of course, it's best not to overdo it: The Johnsons recommend eating only two to three pieces, or 30-50 grams of chocolate INSIDER reports. Quality matters too, according to Dr. Francisco Villarreal, co-author of the 2011 epicatechin study. He explained to The New York Times that heavily processed chocolates have barely any epicatechin, so you'll want to swap out that milk chocolate for dark. Your workouts get your heart pumping, but thanks to anti-inflammatory and blood pressure-improving effects of flavonols—a type of flavonoid—in dark chocolate, the candy could help improve heart health, says Kirkpatrick. One study of healthy guys who a little less than 0.5 g of a cocoa flavonol twice a day for two weeks saw increased blood vessel functioning, decreased blood pressure, and improved cholesterol levels. That same study also found these men were at a lower risk of developing heart disease, having a heart attack, or dying from either one. You brain could benefit from dark chocolate. Flavonols are incredibly brain-friendly. They could enhance brain cell functioning, protect vulnerable brain cells, and even stimulate brain cell regeneration, perhaps by bolstering the effect of protective proteins, according to a review published in Frontiers in Nutrition. The result: you’ll likely be able to pay better attention, think faster, and see improvements in memory, according to the study. But the benefits could be even bigger: Flavonoids in dark chocolate may someday be useful in potentially treating neurodegenerative diseases such as Alzheimer’s. 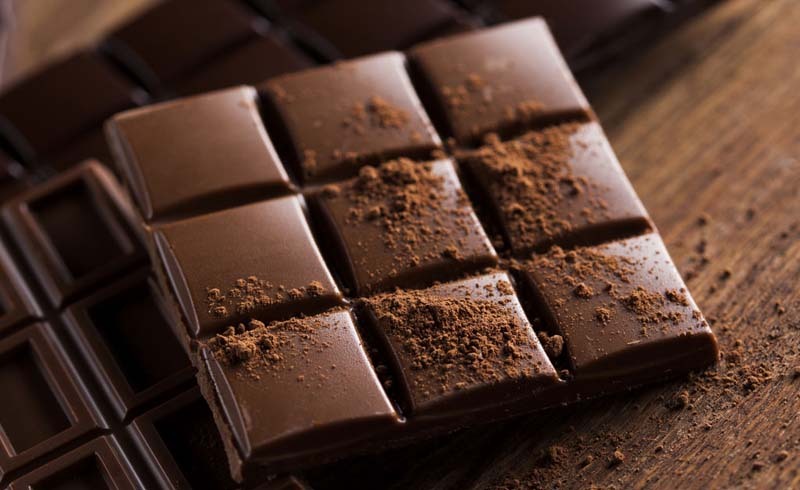 One study in the Journal of Alzheimer’s Disease found an association between chocolate-eating and reduced risk of cognitive decline, perhaps due to protective effects of the cocoa flavanols.